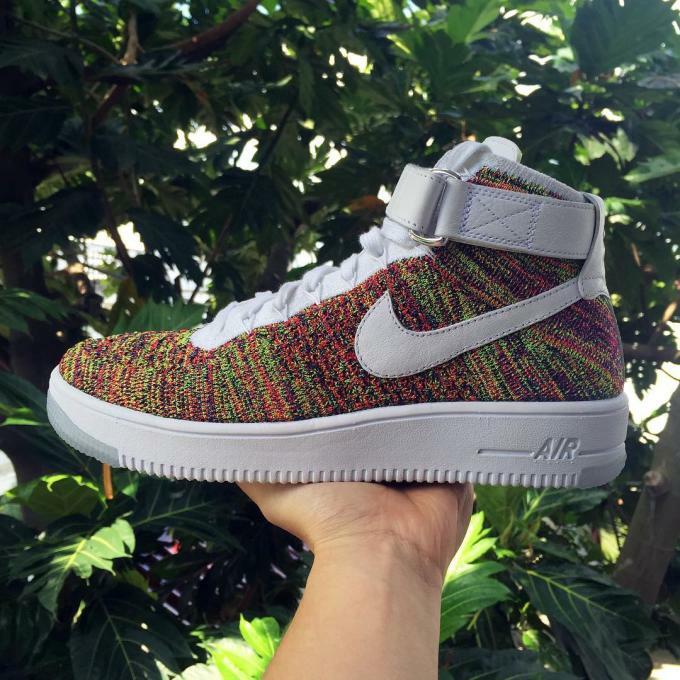 Previews of the 2016 "Flyknit" Air Force 1s continue to roll in, and today we&apos;re getting a detailed look at one of the best colorways yet, the "Multicolor" Highs. Seen here in a batch of new images from @boyfanfootball, these shots give us a good idea of just how vibrant and intricate this latest knit really is. 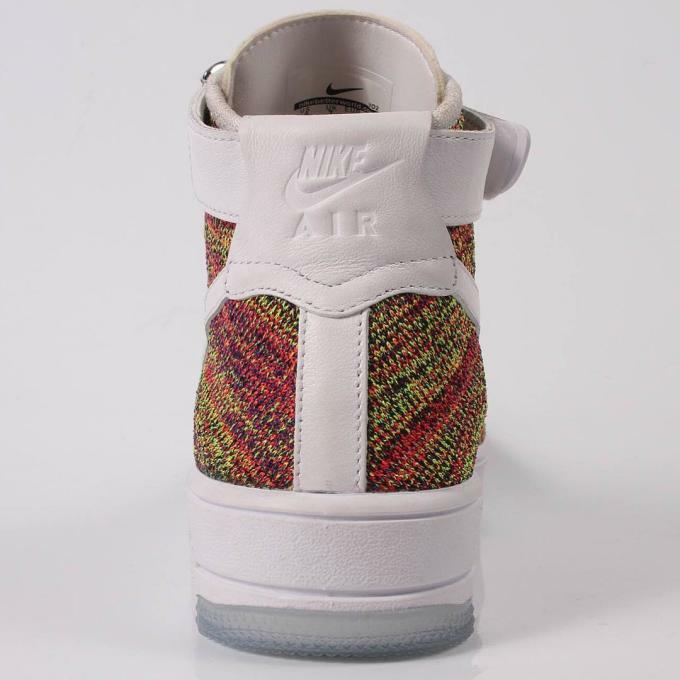 There&apos;s a full rainbow of colors on display, which is complimented with white knit on the tongue and leather on the Swoosh, heel, and ankle strap. Down low, a white-on-white midsole is finished off with translucent hits on the front and rear. 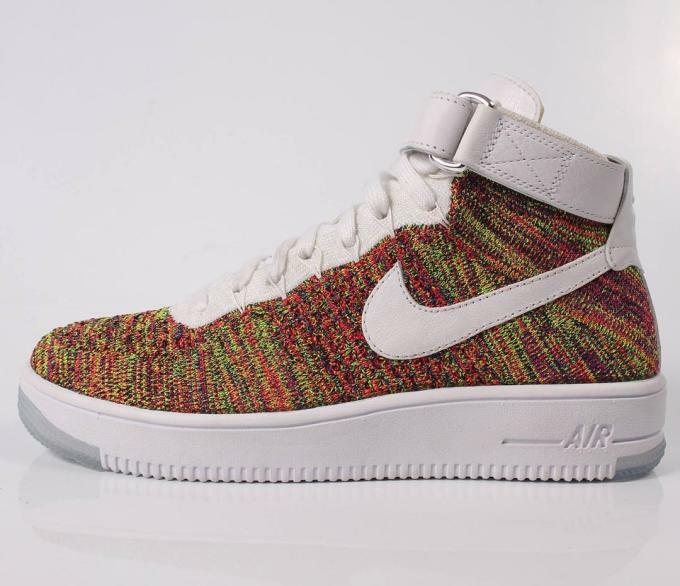 Despite the abundance of images, there&apos;s still no concrete release details for these or any of the "Flyknit" Air Force 1s, but we do know that the range will be making its debut sometime in 2016. 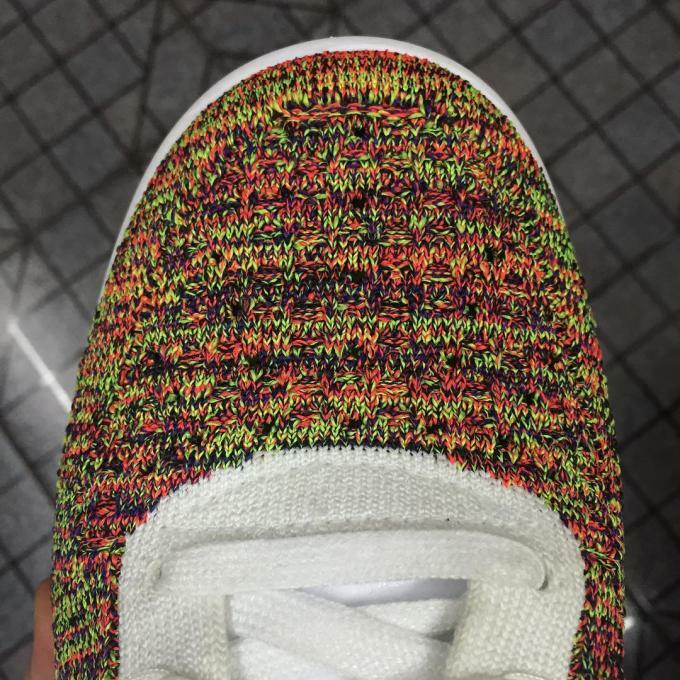 Take a closer look and see how the knit looks in both natural and indoor lighting below.